The aim of this guide is to outline the reasons why deer managers should consider undertaking habitat impact assessment. The guide explains what a baseline is and how it can be used to look at habitat trends over time. Habitat Impact Assessment also involves planning which areas should be measured and how many sample plots to set. The guide Habitat Impact Assessment: Principles in Practice complements this guide by providing information on how to go about establishing a monitoring scheme for different habitats. Deer are dependent on the habitat as well as impacting on it. Like a farmer knowing about his soils, the deer manager should know something about the condition of the habitat. In order to manage deer sustainably*, a manager should have an understanding of how deer impact on the habitat over time, and how this effects habitat condition. By measuring and recording the impacts of deer on habitat condition, it makes it easier to monitor whether land management objectives are being achieved. There are also public objectives associated with land – whether designated sites or land where wider biodiversity responsibilities apply**. Government agencies are required to assess and monitor habitat condition in relation to deer impacts in the context of public objectives***. The more information deer managers have to hand the better able they will be to discuss habitat impacts with government agencies. Explaining to stalking guests about deer impacts, habitat assessment, condition and monitoring may increase the guests understanding and enjoyment, adding value to the stalking day****. Understand the methods used by government agencies. 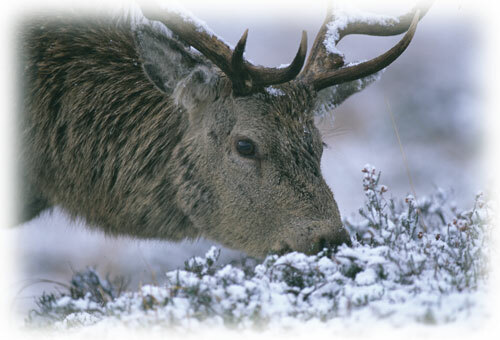 These guides describe the methods used by SNH to monitor deer impacts. These methods are also a key part of how other agencies monitor deer impacts. Measuring and assessing deer impacts on habitats can be a complex, time consuming and expensive task. However, there is a minimum set of information that is essential and the BPGs explain how to collect and analyse this information. This takes account of the statistical requirements for obtaining meaningful and analysable information. The planning and establishment of the baseline will take some time. Thereafter annual monitoring should take a relatively short period of time and should fit easily into existing work programmes. It is likely that deer managers will wish to know more than the minimum about the habitats for which they are responsible. Deer managers may also consider carrying out botanical surveys, biodiversity audits or detailed impact assessment for which grants may be available. There are many detailed field guides and methods available1. Taking ‘fixed point’ photographs of important habitats or features (for example the edges between habitats) every year. Setting up deer fenced exclosure plots to demonstrate the impact deer possibly and other herbivores are having. Which areas should be measured? Most land will contain more than one habitat. BPGs on what should be measured are available for the habitats that deer are most likely to have an impact on. Deciding which ones to assess will depend on the purpose of the assessment, for example if it is an estate management objective, or in relation to a designated site where the features that make up the designation will be most important. In reality deer managers will probably want to know about all of the habitats they manage but may be constrained to monitoring the most important ones. The boundary of each habitat area will need to be defined. 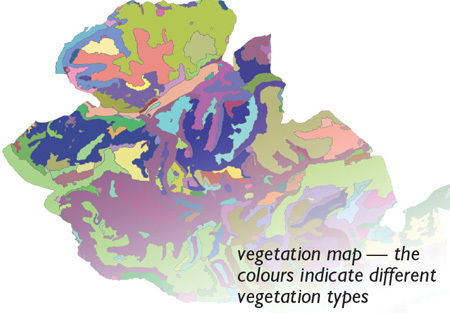 Existing information on vegetation and habitat types may be available (for example from SNH). For woodland (semi-natural and commercial) the habitat area will usually be a ‘compartment’. Setting plots out within each habitat.